Fern worked for 30 years in the Portland Public School district as a speech language pathologist, retiring in 2014. Now, she is frequently called upon as a long-term substitute when school speech pathologists go on leave. In addition to The Shadow Project, Fern has a long history of activism in non-profit organizations locally and nationally. She is currently a board member for the ARC’s National Restoring Family Links, past chair of the American Red Cross Holocaust and War Victim’s Tracing Center, and philanthropy chair of the Cascades chapter of the American Red Cross. 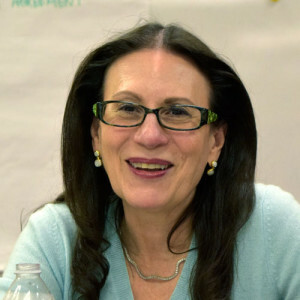 She is past president of the Oregon Holocaust Resource Center, past board member of Cedar Sinai Park retirement complex, and recently retired as vice chair of the national board of Boston University Hillel. She joined The Shadow Project’s Parent Teacher Advisory Board in 2008. Fern has two master’s degrees from the University of Washington: one in speech-language pathology; the other in audiology. She also has a teaching degree in general and special education, as well as a degree in communication disorders. Fern began using The Shadow Project in 2006. “Students learn in different ways and they need to be recognized for their different abilities,” she said. “The Shadow Project not only gives teachers additional strategies and support in the classroom, but it helps educators recognize kids for the effort they put in, not necessarily for how everyone else is achieving, and this makes kids feel good about themselves.